A service from womenshealth.gov to help connect you with information and resources to answer your health questions. This helpline provides information, education, and support for women who want to breastfeed, to healthcare providers and others. 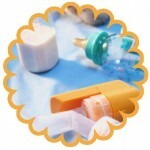 Local support site for lactation consultants. Great site for moms preparing to return to work.